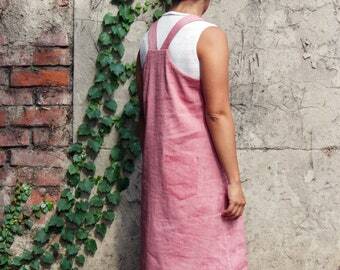 This dungarees dress is a lovely and versatile piece in your wardrobe. 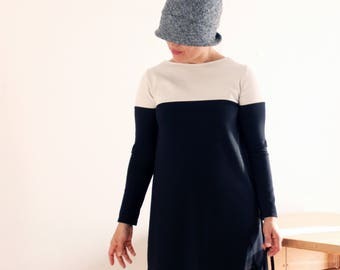 So easy to throw on and you add a Japanese neat style to your everyday outfit. 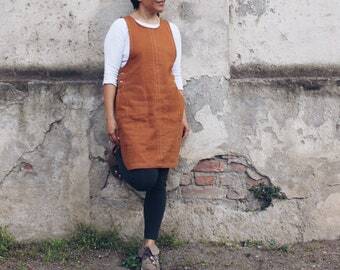 It can be worn as a pinafore at home. 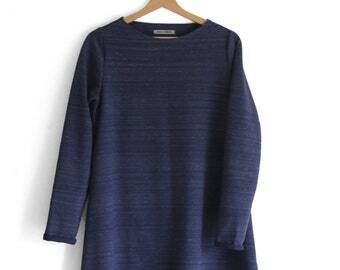 Add a pair of leggings and a simple slim t shirt, you got a very nice outfit for everyday us! It adapts easily from Summer to Autumn and even Winter. Made from heavy weight unwashed denim, dark blue classic. 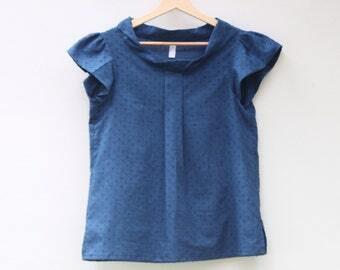 It features a couple of hidden pockets on the sides. 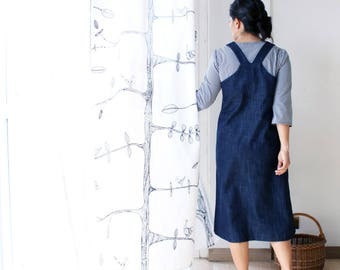 All accents like pockets and inner side of the suspenders are made from 100% coordinated cotton fabric. Care: machine wash 30°C, tumble low, line to dry. Ironing required. 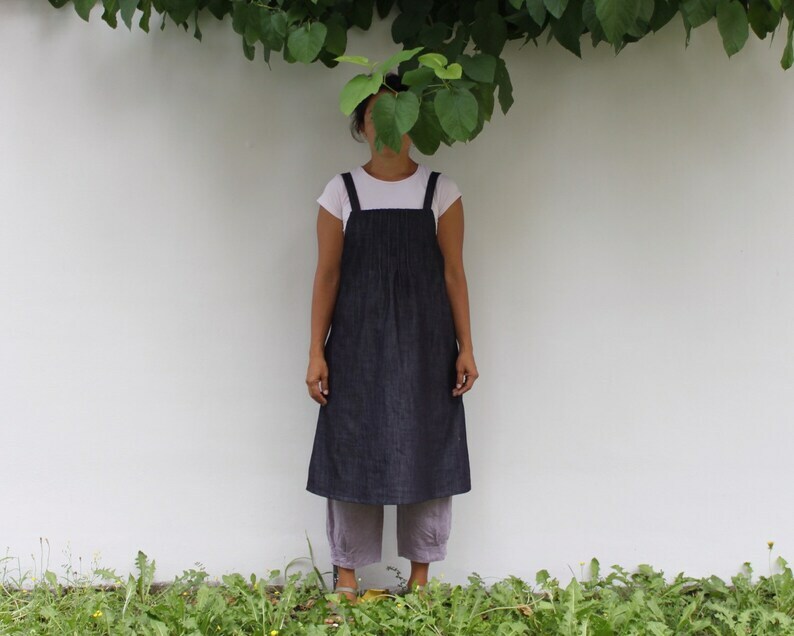 **This pinafore can be ordered is custom sizes up to bust size 120 cm (47 inches). 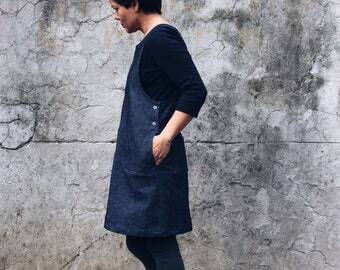 Women's denim pinafore dress, apron dress, denim overall dress. 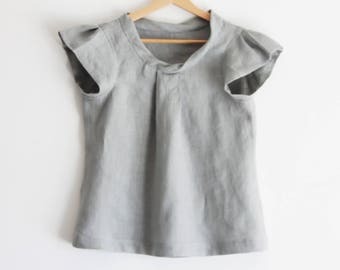 Japanese style clothing. Plus size. 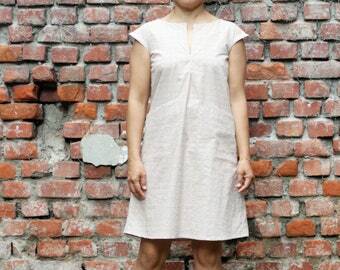 Sustainable clothing, made in Italy.